#ScienceMobile, a Twitter account of the Canada Science and Technology Museum in Ontario, thought it would be cute to not just skin a Tickle Me Elmo, but to tickle its skinned, furless body. 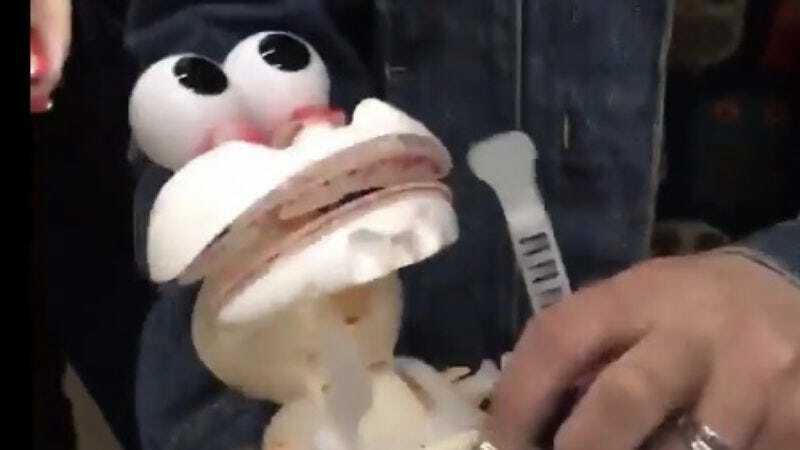 And while Elmo’s guffaws remain the same, the strings of red left around his duck mouth and back torso give it a haunting quality coupled with those bulbous, naked eyes. If you’re in the mood for further trauma, revisit this video of a father and son bonding over the skinning and dismantling of Teddy Ruxpin.